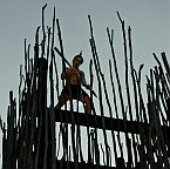 Welcome to Te Hana Te Ao Marama where we pride ourselves on providing an authentic Maori cultural experience. 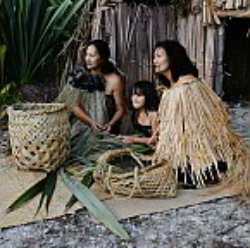 Experience and learn about pre-European Maori life in Te Hana’s Te Ao Marama 17th Century Maori Village and Model Pa site. Have the ultimate Maori cultural experience with Te Hana’s package tour that includes a powhiri (Marae welcome ceremony), Buffet Hangi (Maori cuisine) lunch, village tour and cultural performance. Group Bookings of 25 people only. 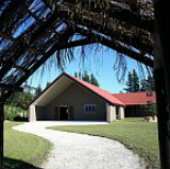 Te Hana Te Ao Marama Marae has exceptional modern facilities that are available for hireage, tours, cultural events, conferences, educational visits, hui, weddings and noho (overnight stay). Proud to be the second Marae out of 1,000 in New Zealand to be Qualmarked.